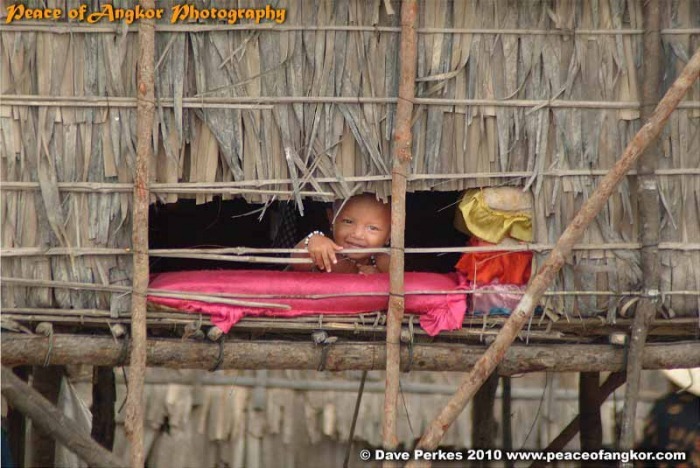 THE TONLE SAP LAKE and its people. The Tonle Sap lake is the Largest lake in South East Asia. 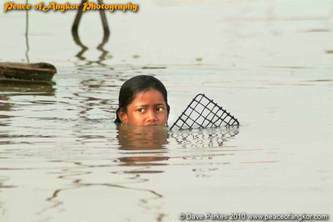 It is home to over two million who live on and around the great lake. The Tonle Sap lake has been an important fishing resource for millennia. the wealth created laid the foundations of prosperity that resulted Khmer Empire being one of the Richest in the region. 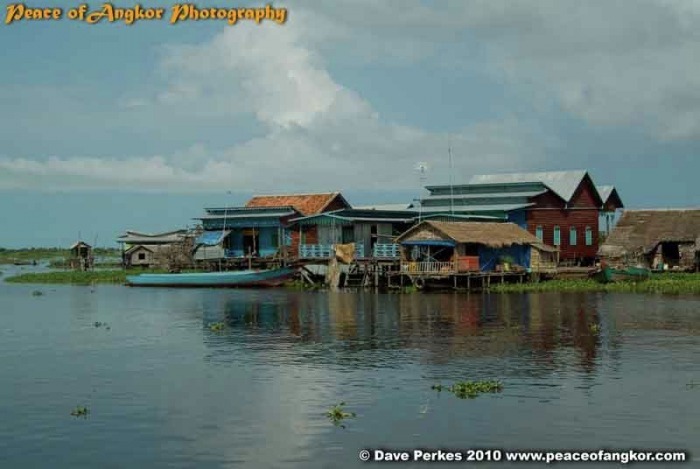 The settlements around the lake are as ancient as the temple themselves the network of dykes and canalized rivers date back the the 12th Century or earlier. 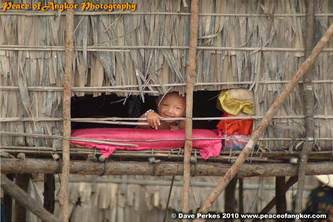 Life here hasn't changed much; even in the 21st Century most of the population live in basic stilt houses withe relativity few possessions. 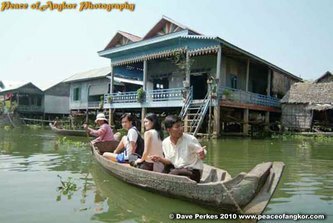 Many homes have TVs and stereos powered by local generators or rechargeable car batteries. 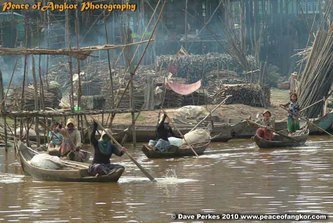 Chinese built diesel motors power most fishing boats and mobile phones are used by many fishermen, since the recent expansion of the networks. 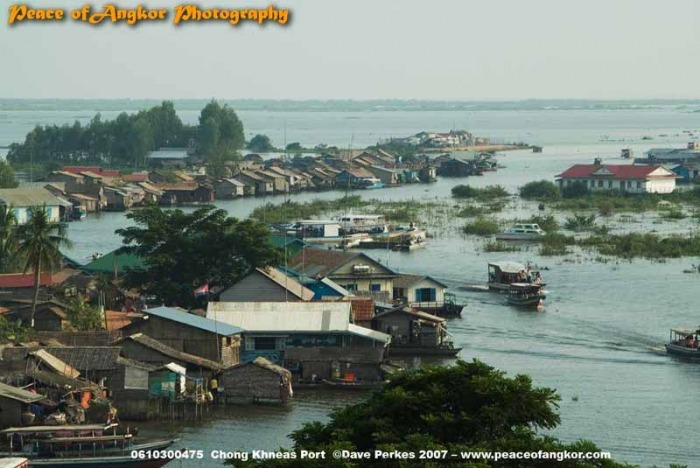 The Floating village of Chong Khneas south of Siem reap used to be one of the main entry points to Siem Reap and Angkor. 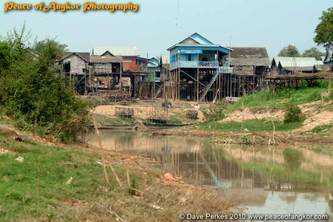 It was an atmospheric but messy introduction to Tonle Sap life. 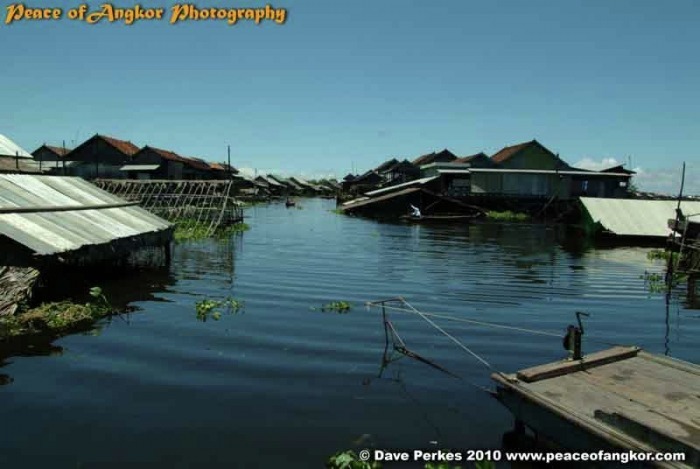 The Phnom Penh boat trade has virtually died out with the better roads; so now Chong Khneas is primarily a tourist village with a community of Khmer and Vietnamese living on houseboats. 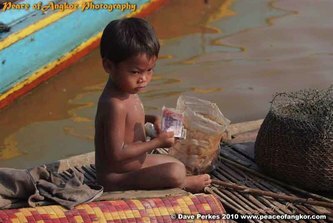 With over 200 tour boats 'its a place of mass market tourism with hundreds of thousands of tourist paying to gawp at the poor here. 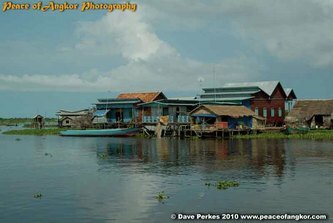 The most interesting lake villages are a little further away from the main tourist floating village of Chong Khneas and require time to get there. 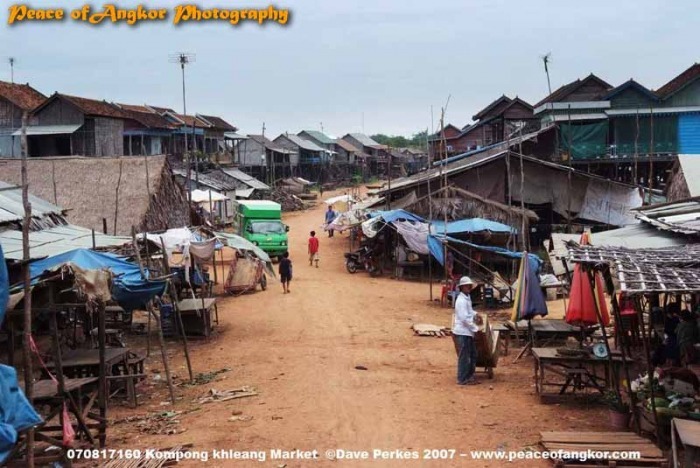 Kompong Phluk is an attractive small community with a land village and surrounding mangroves. 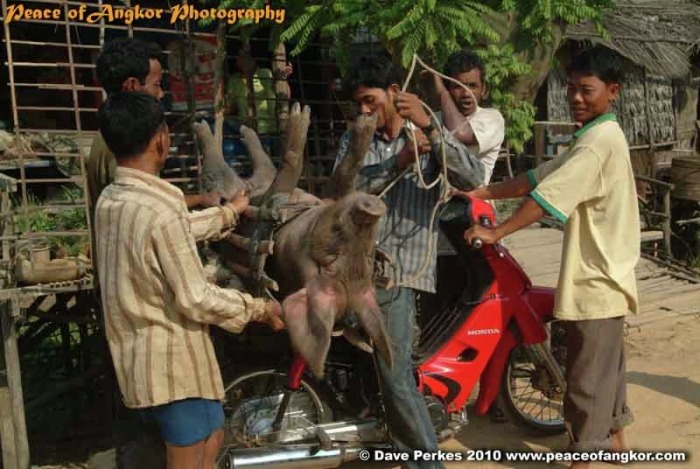 Its name translates to "Harbour of the Tusks" reflecting its past trade in elephants. 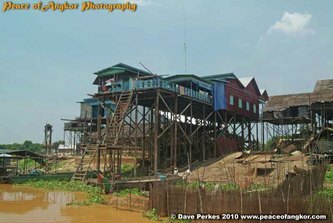 Until the mid 2000s Kompong Phluk was virtually untouched by time or tourism. 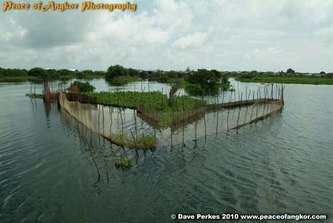 In the dry season a large number of temporary thatched dwellings are built on the lake; these are removed during the flood season. 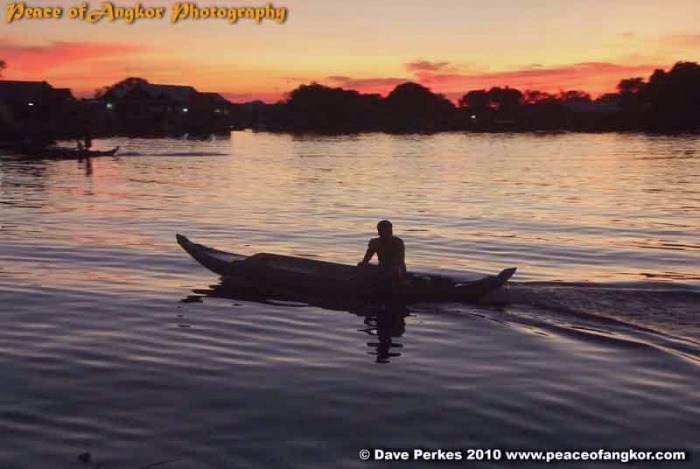 A small tourism industry has built up with a community boat dock. 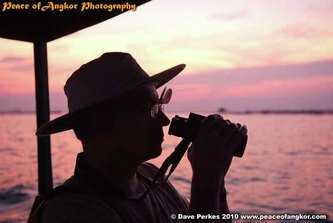 At one and a half hours from Chong Khneas by boat, or a drive via Roulus; its an interesting diversion from the temples and gives an insight into life out here on the lake. 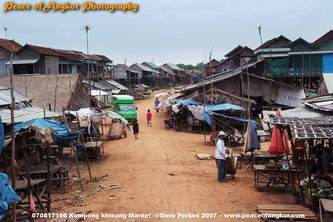 Kompong Khleang is one of the largest settlements on the lake. 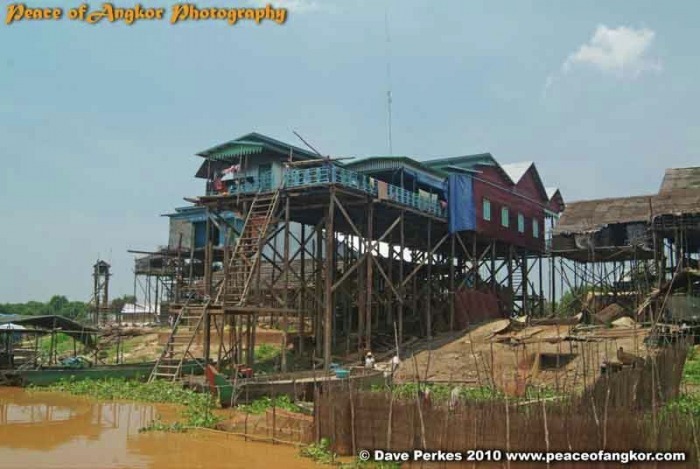 Over 20,000 people live in high stilt houses which tower up to 10 meters over the river. 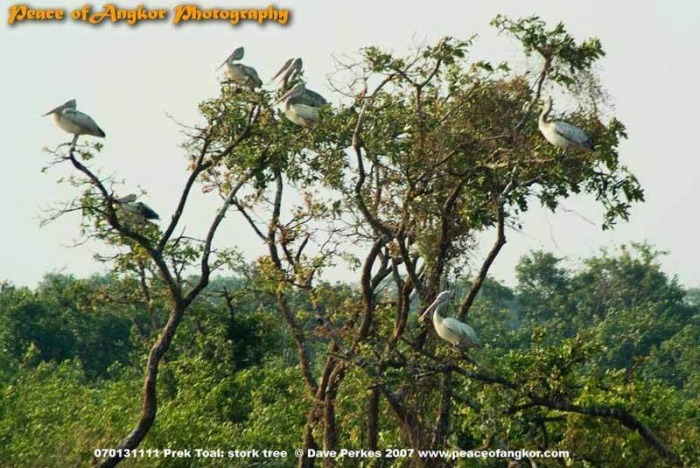 It is a spectacular place which only gets a small number of visitors. 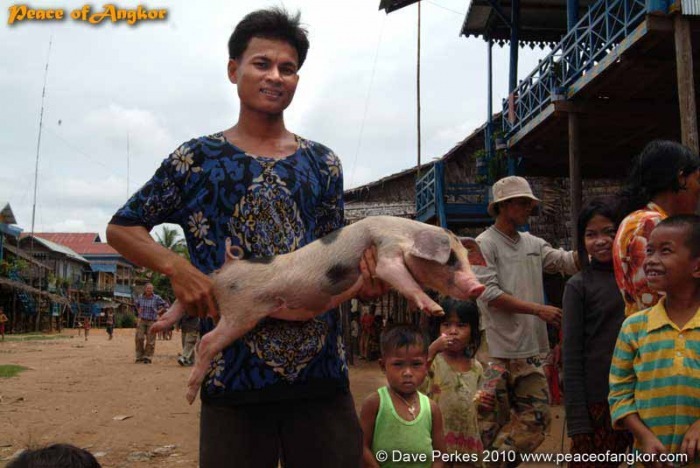 The kids are enthusiastic and cheekily pose anywhere a camera is pointed. They get very exited when the see their images in the preview screens of digital cameras. 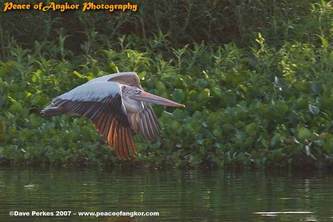 Peace of Angkor started running tours to Kompong Khleang in 2004. At that time few people had ever heard of it!. We only knew of the Village because of guide Tá Elit's mother was born there ad guide Sorn's familay life near there too. 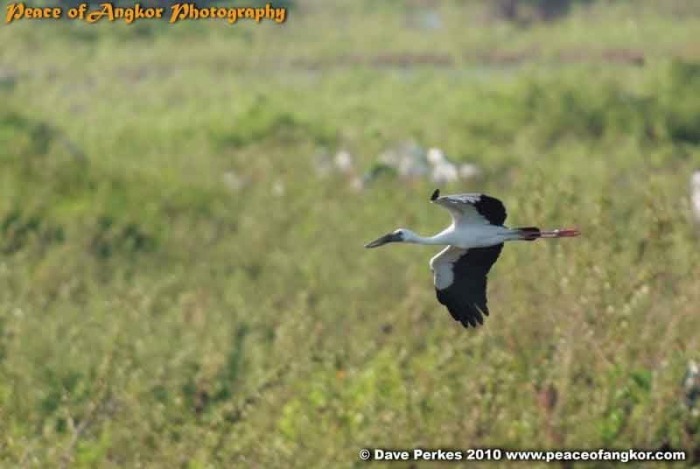 It was an incredible experience the first time which has never lost its photographic appeal. 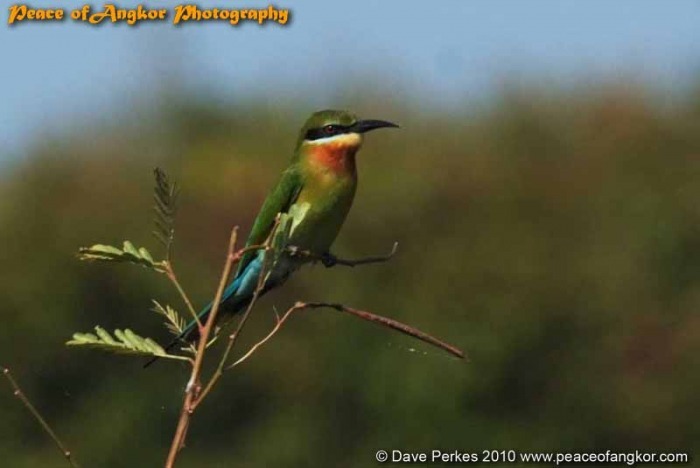 We were the only tour operator running regular tours there from 2005 until 2008. We have built up a good relationship with the villagers and use local boats which are operated through a villagers co-operative . This keeps the tourist income within the community. 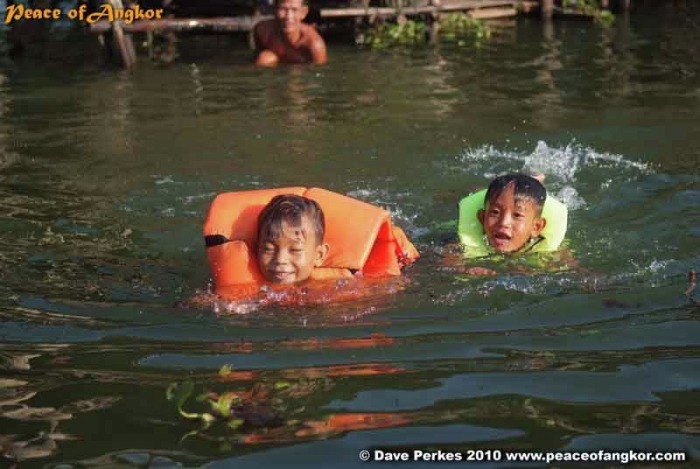 We fully support this and we have been using Kompong Khleang as our lake base since 2005. 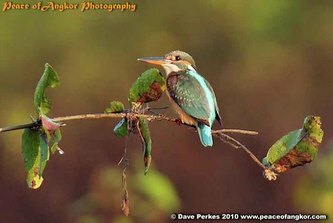 With its tropical climate and unique ecology, Cambodia is a spectacular place for the bird watcher and nature lover .At the north of Tonle Sap lake, Prek Toal is a fabulous place for seeing wildlife and birds. 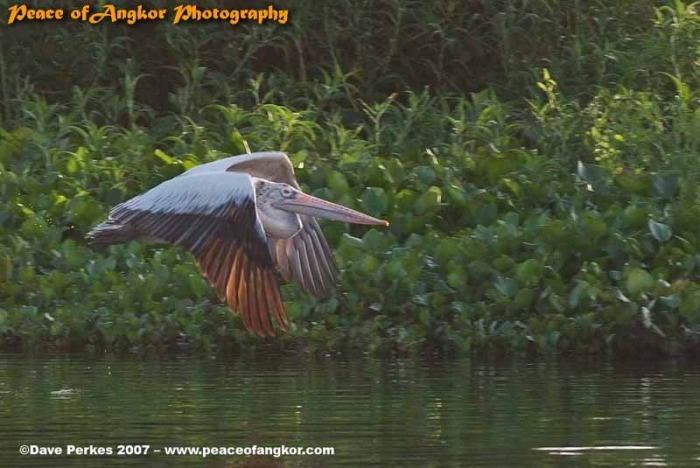 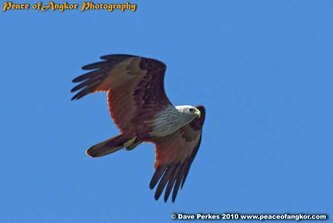 It the biggest bird reserve in SE Asia. 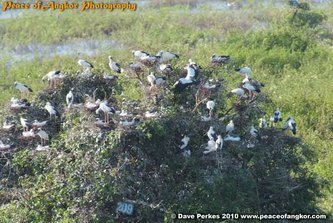 Prek Toal is home to thousands of migrant birds including Whiskered Terns, Darters, Cormorants and Spot Billed Pelicans. Of great interest are the rare Adjutant and Painted Storks. The early birds who go on our overnight Prek Toal Trips; can enjoy the pre-dawn atmosphere as we travel down river. We pass through the fish fencing protecting the fishing lots as we enter the Mangroves. 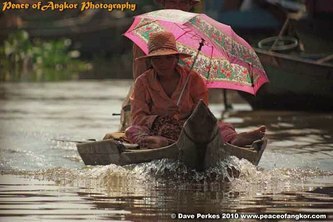 We use open motor boats to travel to the Sanctuary; often we have canoes towed behind to get to more difficult areas areas when the water level drops. 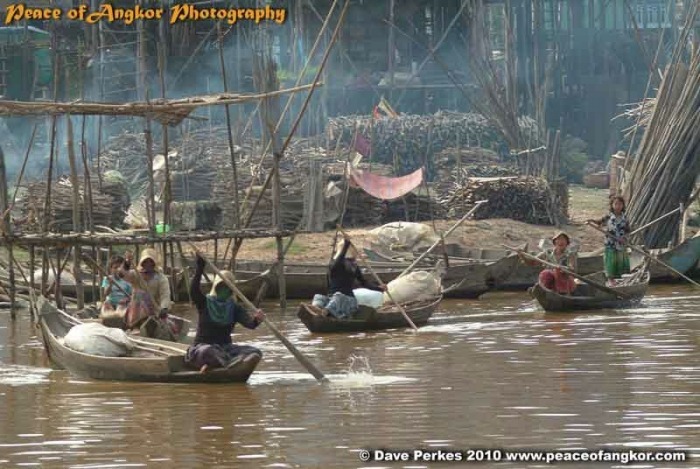 Situated on the Sangkar River on the Opposite banks of the Tonle Sap From Siem Reap; Prek Toal is a relatively prosperous fishing community with over a thousand house boats and land houses. The Prek Toal HQ, has rooms where a few people stay overnight to watch the birds. 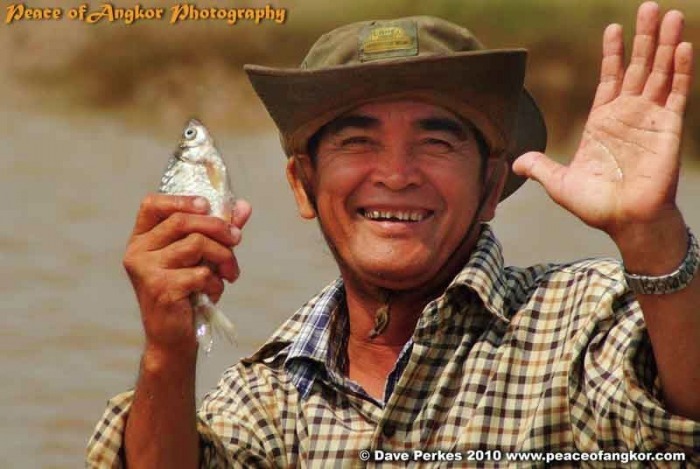 This means the visitor can see a traditional fishing village without the crowds! We have experienced guides who can help identify the dozens of species of birds to be found here.